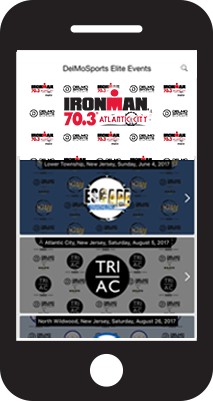 DelMoSports is excited to bring to you, the Women's Philadelphia Triathlon 2019 athletes, two unique swim clinic opportunities! We will help you understand how the serpentine swim works when you accomplish your triathlon at Kelly Pool, while also providing nutrition and private instruction to you. This swim clinic will feature the DelMoSports crew along with Joanna Chodorowska of Nutrition in Motion, Coach Maria Simone of No Limits Endurance Coaching and Dr. Mitchell Greene of Greenepsych Clinical & Sport Psychology. and Dr. Mitchell Greene of Greenepsych Clinical & Sport Psychology. What do I wear and bring? You can wear a bathing suit or your tri kit (one-piece or two-piece) for swimming, plus goggles, and we will provide a swimming cap. Bring a towel and a lock for use in the locker room. Showers are available – so bring an extra towel! What if I am afraid to put my face in the water? We will aim to coach you through this. 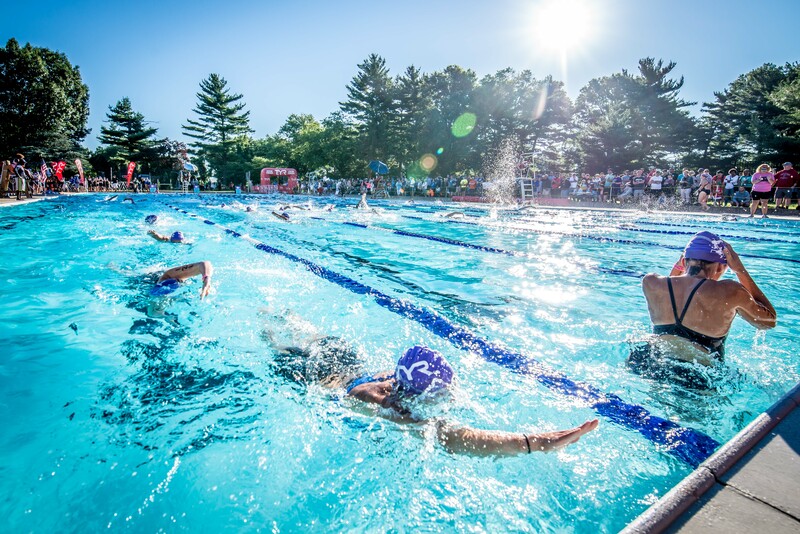 You can always use a combination of strokes to maneuver the length of the pool: breaststroke, sidestroke, freestyle, but you will have to get your head wet to duck under the pool rope at the end of each lane during the triathlon. You should try this at our clinic! Can I bring my children? There is no child care available, and no one under the age of 18 is permitted. 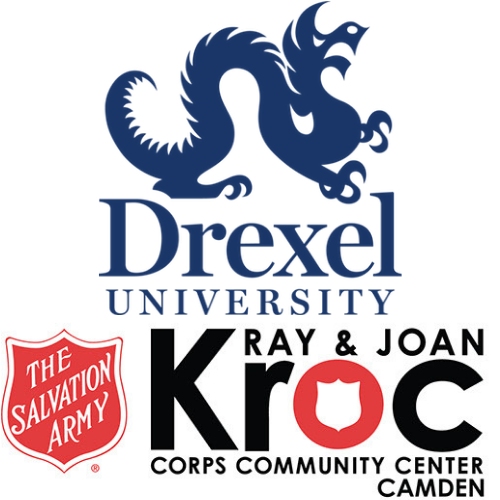 Thank you for respecting the rules of the clinic and the Drexel Rec Center and the Kroc Center. Joanna is a sports nutrition therapy coaching company inspiring athletes to find their amazing by nurturing their body, mind and soul not just their sport. She is a holistic nutrition therapy coach, energy worker, minister, author and competitive triathlete. Joanna helps you identify the cause of your symptoms and uses real food nutrition, The Path To Heal energy work and essential oils to ‘fix’ the issue for good. She restores balance from inside out so you can perform at your full potential, with loving, peace and vitality every day. A lifelong runner turned triathlete, Maria is an enthusiastic ambassador for endurance sport. Triathlon and ultra running have revolutionized her life, teaching her to fear less and live more. She loves the competition and camaraderie that the endurance sport community provides. As a coach, Maria takes a holistic approach to training that considers not only physical athletic ability and history, but also mental training, nutritional habits, and life-work-training balance. Maria has coached all level of athletes - from beginners who are learning to swim, bike and run effectively to competitive athletes, seeking goals such as AG podium finishes and USAT National qualifications. In all cases, she teaches her athletes that they must believe before they achieve. She ensures that athletes focus on short and long term goals, that emphasize process over outcome. Dr. Mitchell Greene (aka Dr. Mitch) has enjoyed a longstanding relationship with Delmo Sports and the world of triathlon. From nervous swimmers to uber-competitive goal-setters, Dr. Mitch works with athletes seeking to improve their confidence, focus, attitude and effort. The hallmark of Dr. Mitch’s approach is his ability to tailor a unique mental game plan for each athlete with whom he consults. For more information on Dr. Mitch, go to www.greenepsych.com. Interested in attending these clinics? Registration now open! Email info@delmosports.com for more info.